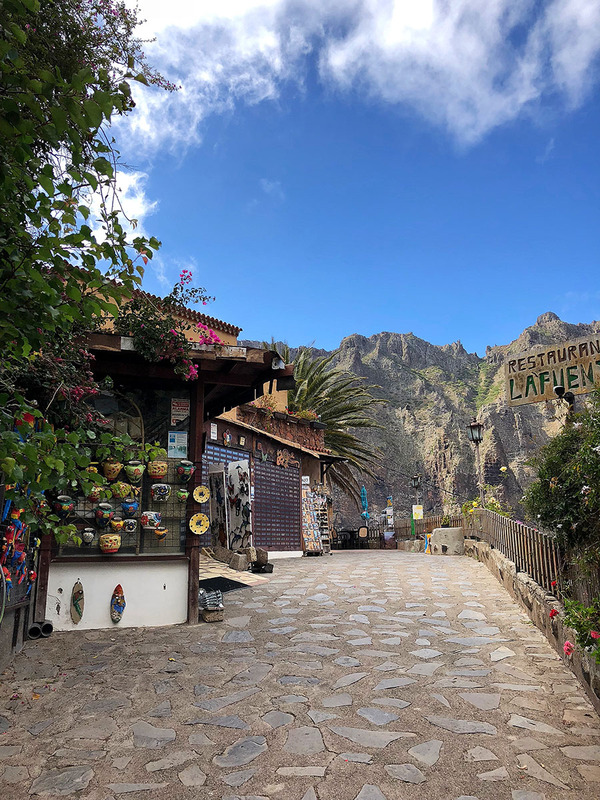 The thing I love about Tenerife the most is that the island has so many different environments and attractions. Everyone can find what they like. A little bit rainier but greener North or hot and dry South. Super touristy party places or quiet towns where only locals live. Siam Park, Loro Park, volcano, hiking, partying, or just laying on the beach. The list of things to do is very long. 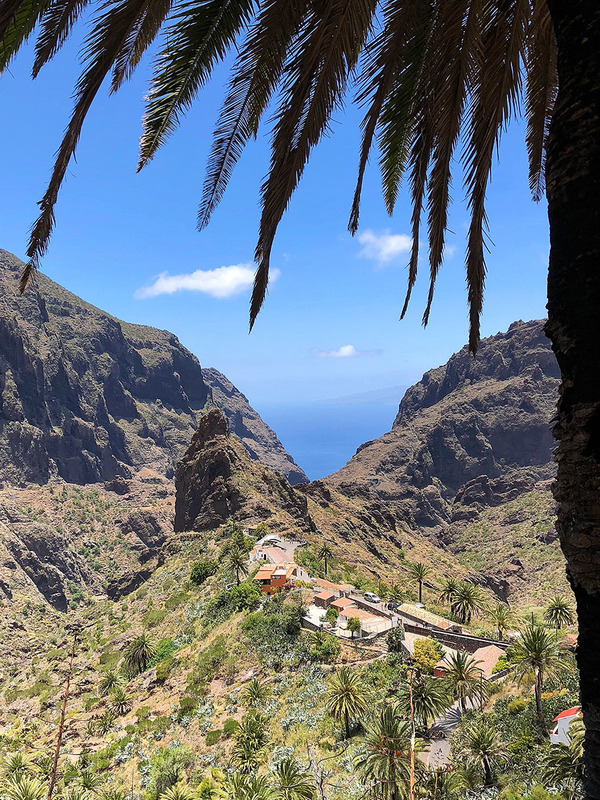 In this article, I am not trying to give you the comprehensive review of all possible resorts and towns around Tenerife. 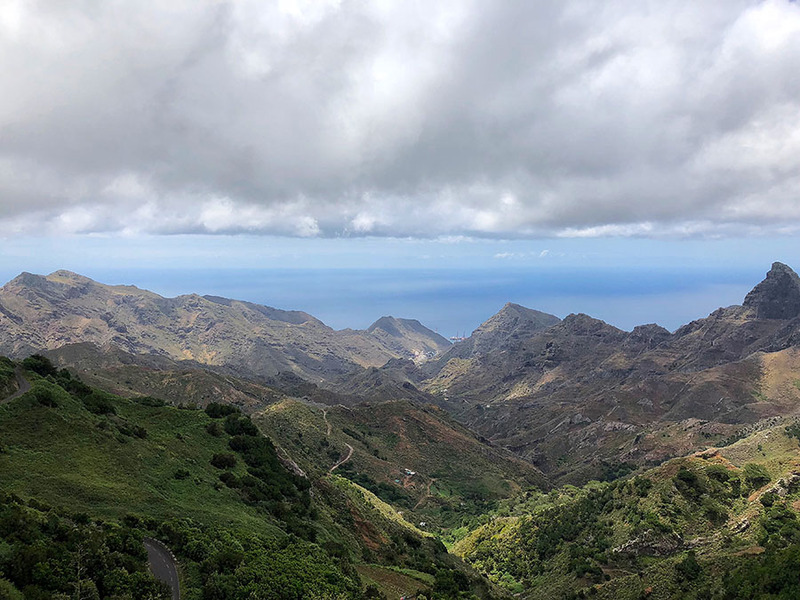 In general, due to the size of the island, you can get everywhere on the island within 2 hours drive, so you can stay in the South but still be able to go to Anaga forest in the North and be back for dinner. 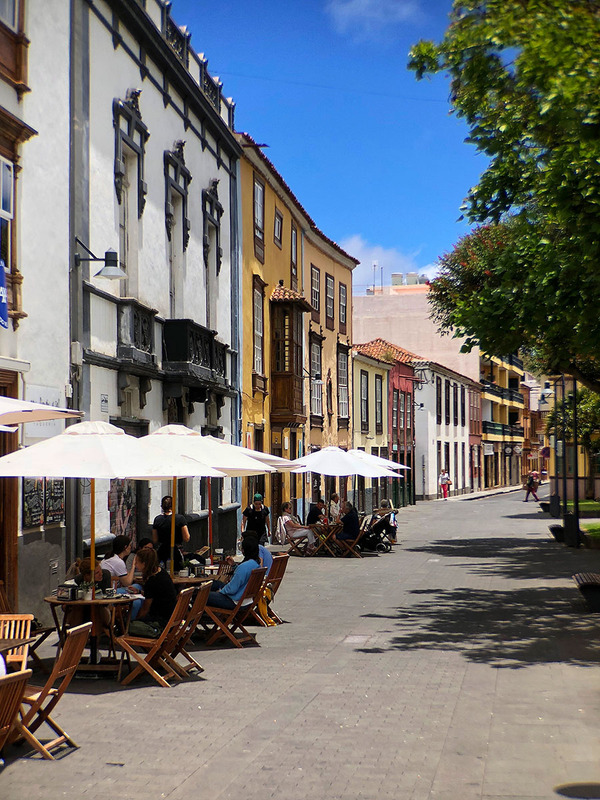 I believe, it is more important to decide where to stay in Tenerife based on what you expect from your holidays. 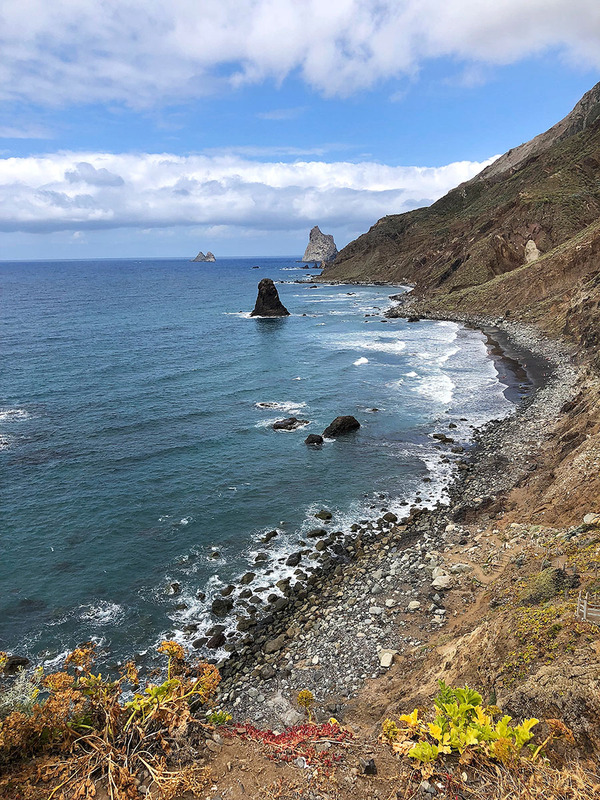 The difference between the North and the South of Tenerife is astonishing. 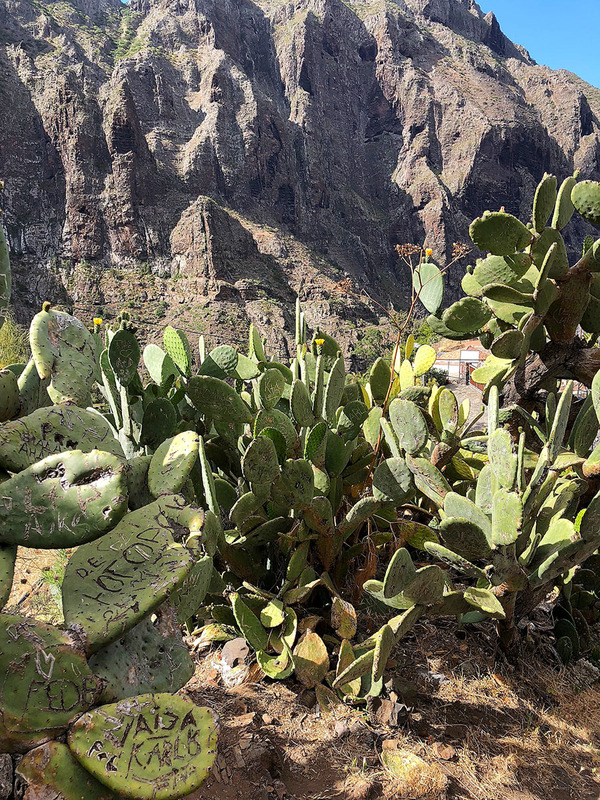 The South is extremely dry with cactuses, lizards, and occasional palm trees while the North is amazingly green, full of avocado and banana plantations (there is also a rainforest in the north). The difference is extreme and very sudden. If you drive from south to north, you drive through arid and rocky areas and in the blink of an eye, everything is green and fresh. Tenerife has two airports. Tenerife Norte and Reina Sofia (Tenerife South). 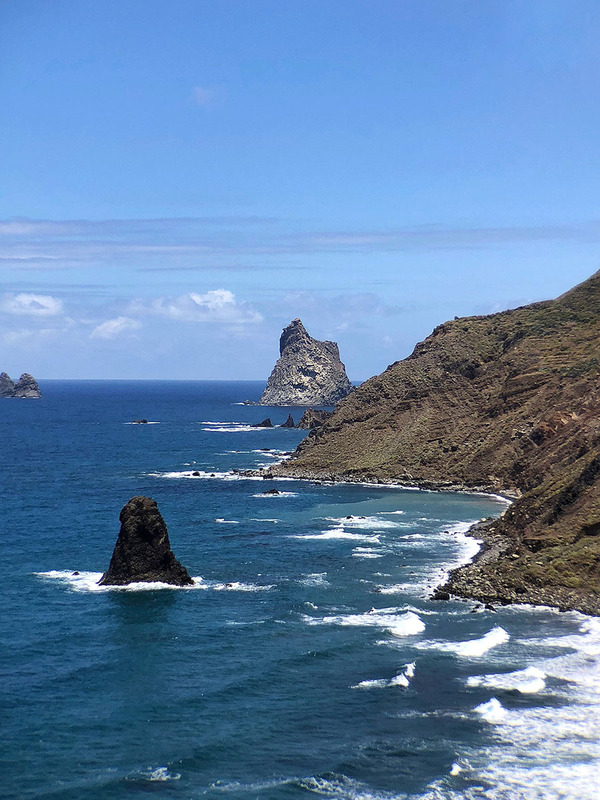 All the main tourist destinations are located in the South of the Tenerife. The reason is logical. The South is warmer and has more sunny days. The difference in temperatures between the North and South is easily 2-4 degrees. 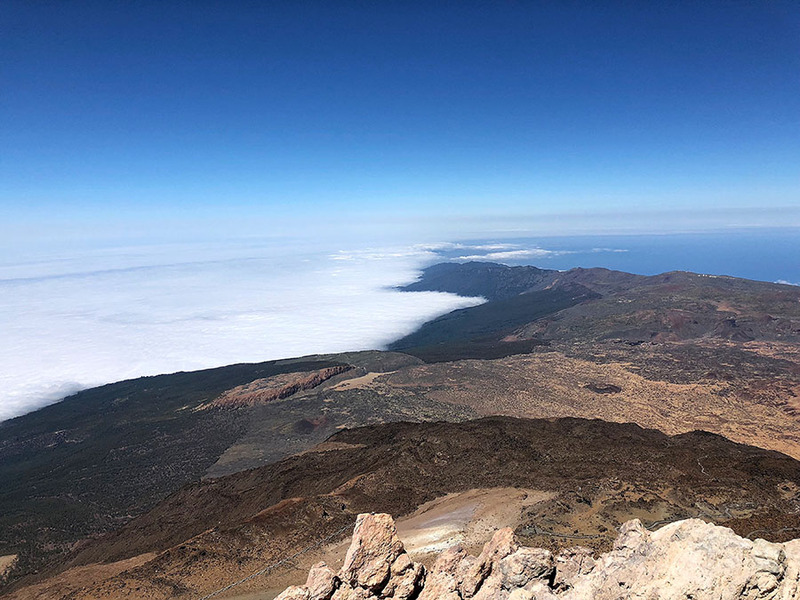 The main reason for that is because of clouds which are coming from the North are mostly stopped by the El Teide which 3718 meters high. That's why the South gets less rainwater and is generally sunnier. 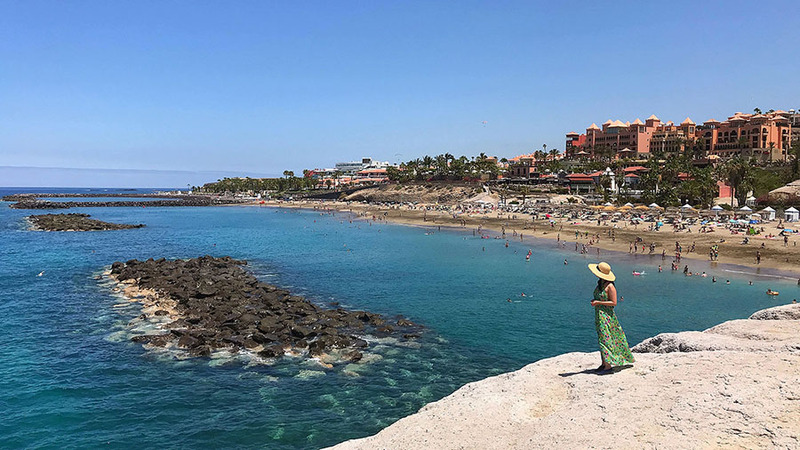 Almost every town in Tenerife has access to the beach or a natural swimming pool. However, the best infrastructure for tourists and accessibility to the sandy beaches is in the South. 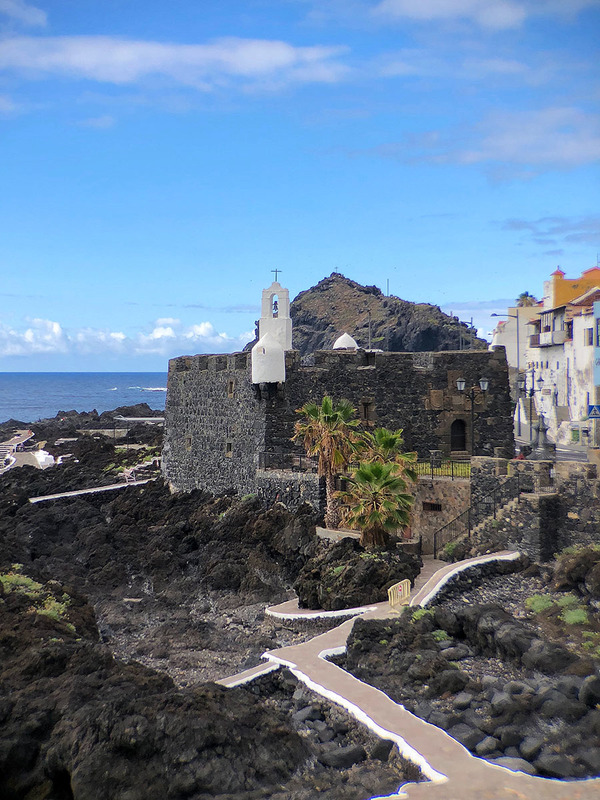 Particularly in Costa Adeje, Los Cristianos, and Playa de Las Americas. 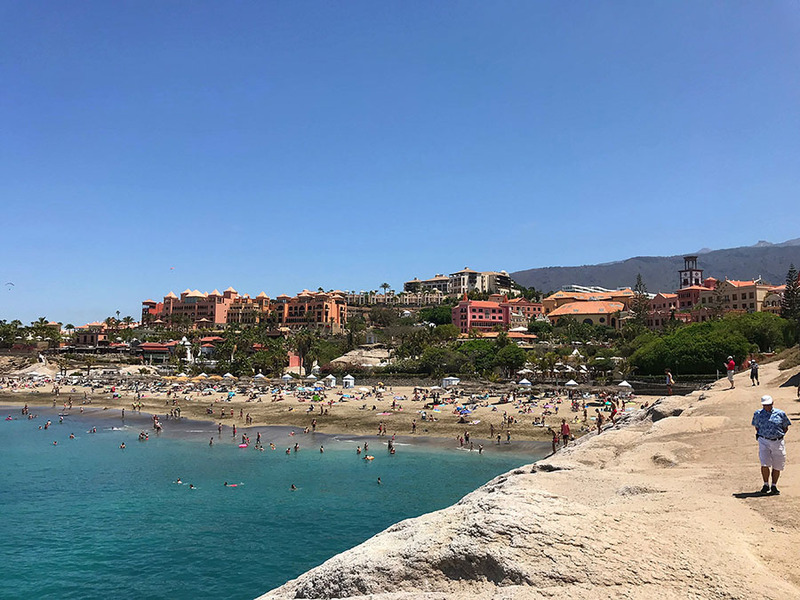 My absolute favorite beach in the South was Playa Del Duque in the north part of Costa Adeje which is very family friendly. Generally in the South. Especially, Playa de Las Americas and the surrounding areas. 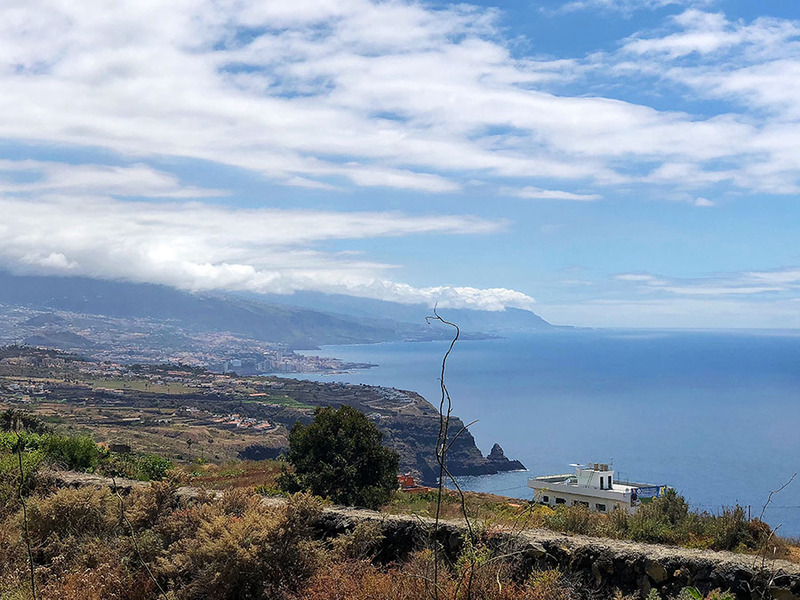 South part of Costa Adeje and West part of Los Cristianos. I’ll just say that this wouldn’t be my first choice area to stay in Tenerife. However, if you are coming to party hard, it will be your best option. Most of the young people are staying in this area. If you rent a car, it doesn't really matter. 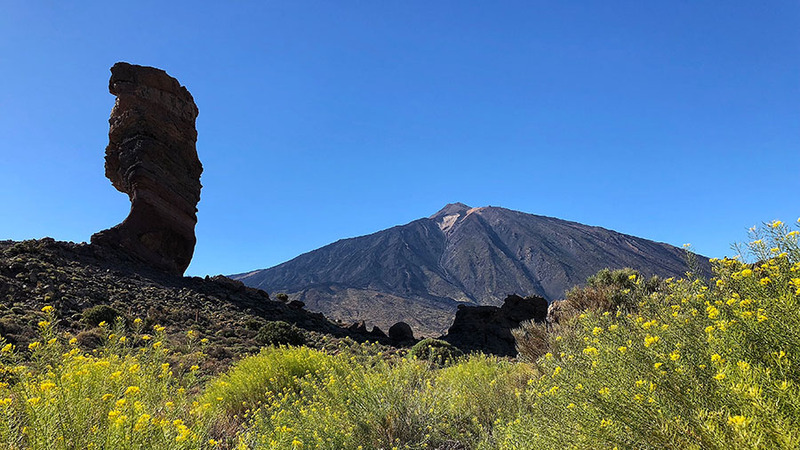 You have excellent access to the Teide National Park from every side of the island, and it won't be longer than one hour drive. 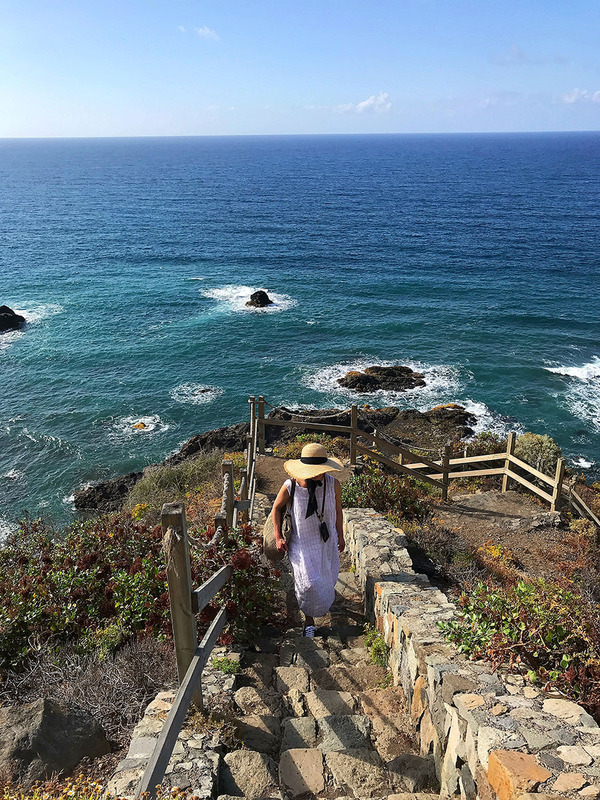 However, you have more options for hiking staying in the northern part of the island. 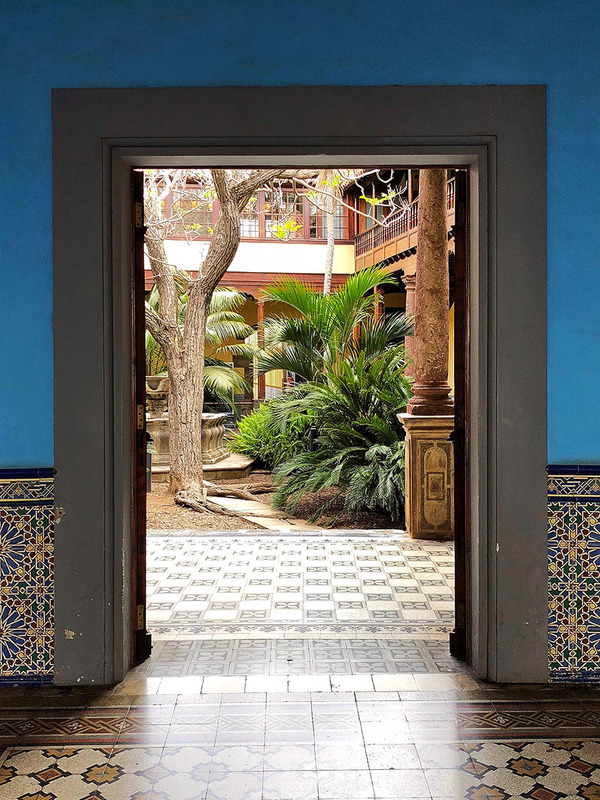 La Orotava, La Laguna or Santa Cruz. 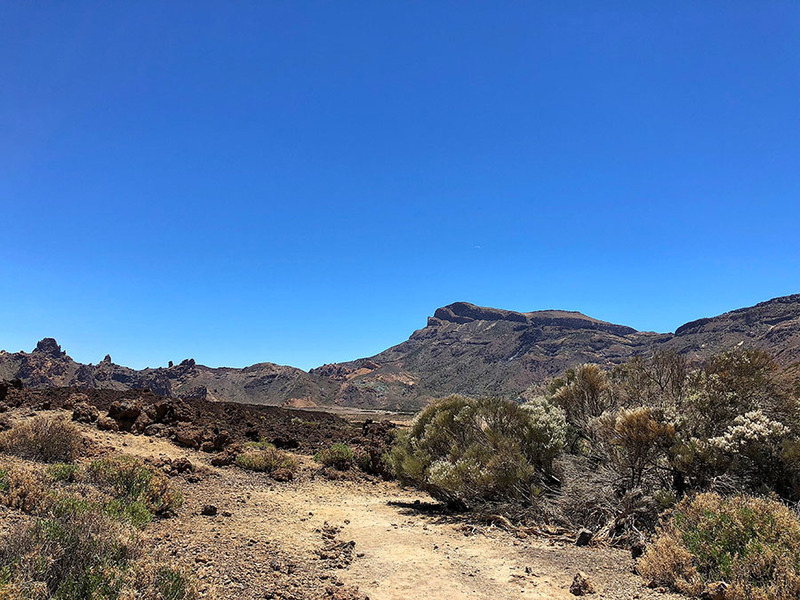 There are some excellent hiking paths with stunning views in the Teide National Park or in the Anaga Natural Park. If you want to be more outside of touristic zones than pick one of the smaller towns in the North or towns further from the beach. An important fact is that unless you plan to stay only at the beach, you should definitely consider renting the car. 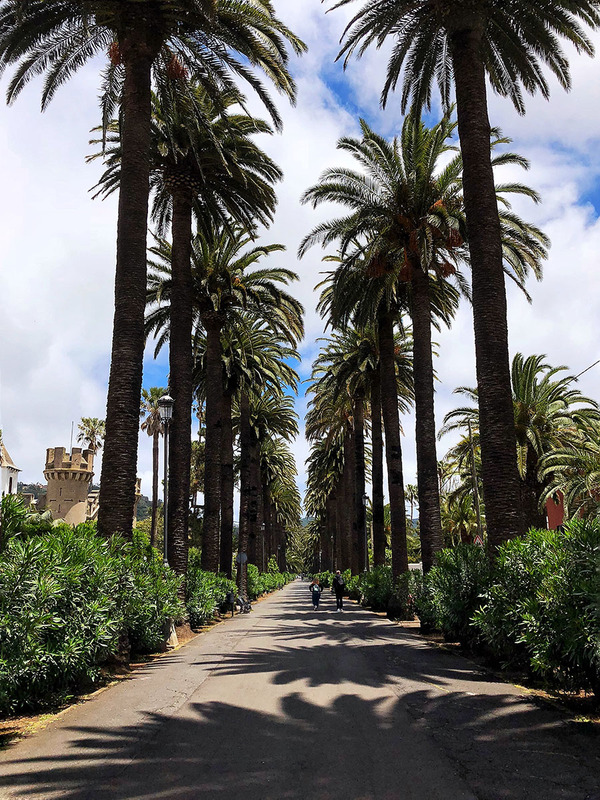 I wanted to experience as much of the two different sides of Tenerife as I possibly could, so we spent half of our stay in the North and the other half in the South. And it felt like having two completely different holidays. In the North, I stayed in the small town called La Matanza de Acentejo at Finca Angelus. Finca Angelus was a perfect place to stay. The owner takes great care of the property and her visitors. 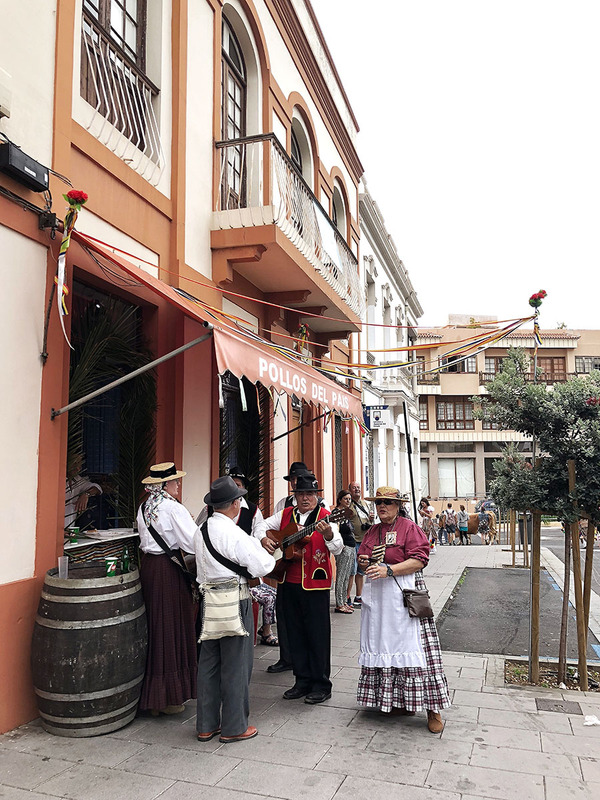 She gave us a lot of handy tips about the area which lead to some fantastic experiences visit the local farmers market and fiesta at La Orotava. It was a perfect spot for exploring the whole north. 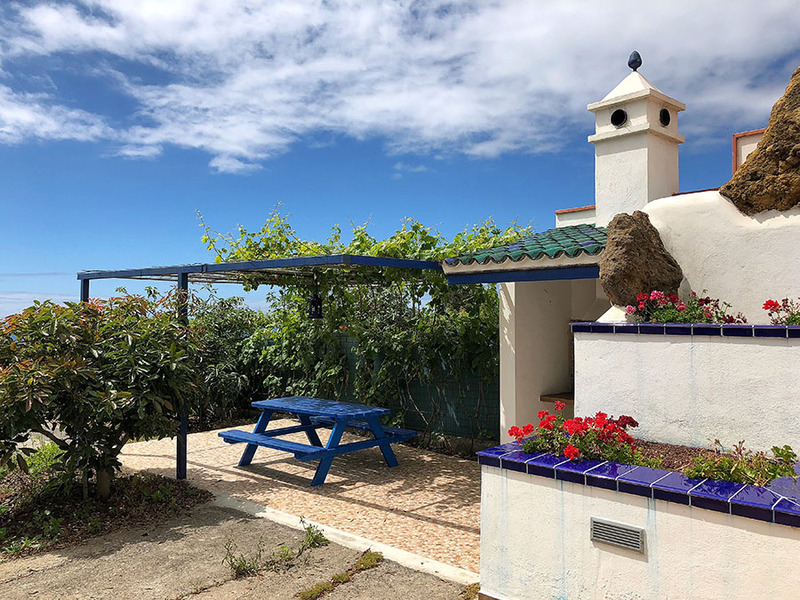 Quiet and peaceful with fantastic views! 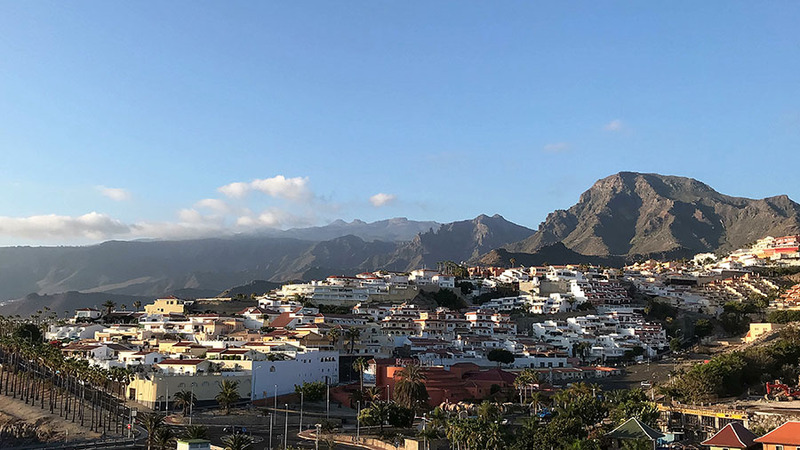 In the South, I wanted to see the other extreme of holidays in Tenerife, and I stayed between Playa de Las Americas and Costa Adeje. 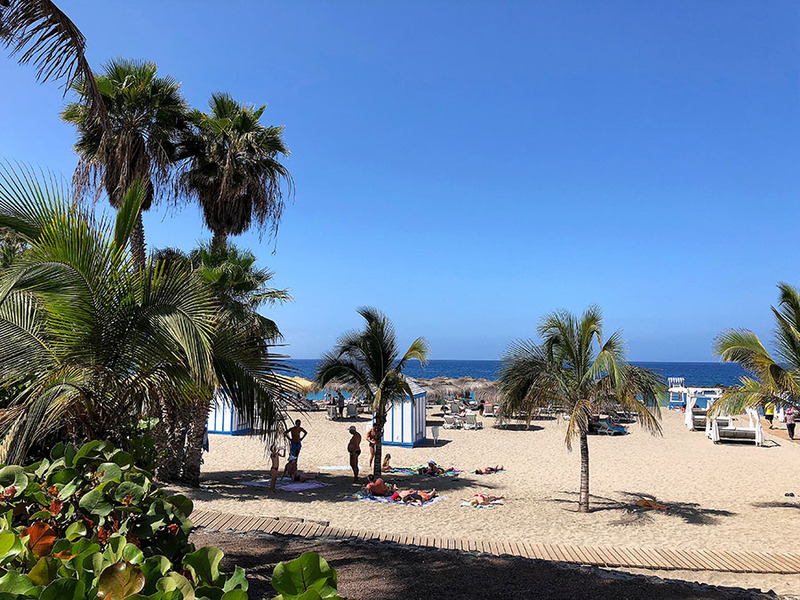 My personal preference for the future is the northern part of Costa Adeje around the Playa Del Duque beach which is much more family-friendly than the Playa de Las Americas. As I mentioned before, Playa Del Duque is, in my opinion, one of the best beaches in Tenerife. I would consider Los Cristianos as well. 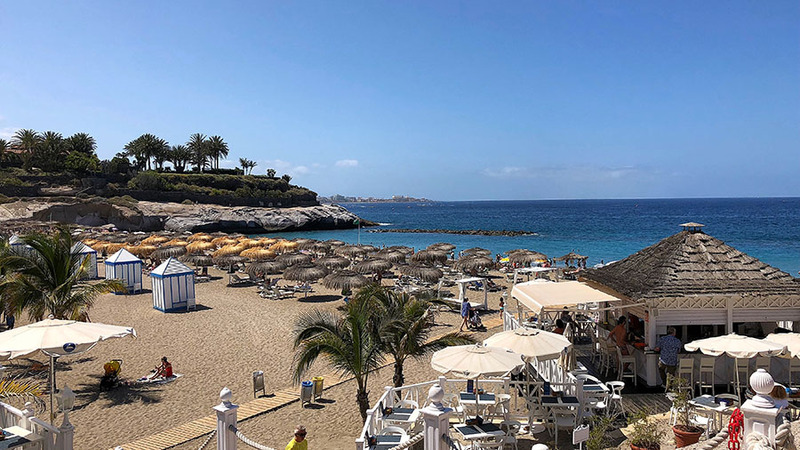 It is also more family friendly, has some good restaurants, and is cheaper than the north of Costa Adeje. However, it doesn’t have that great beach, as there is the port with big ferries right next to it. 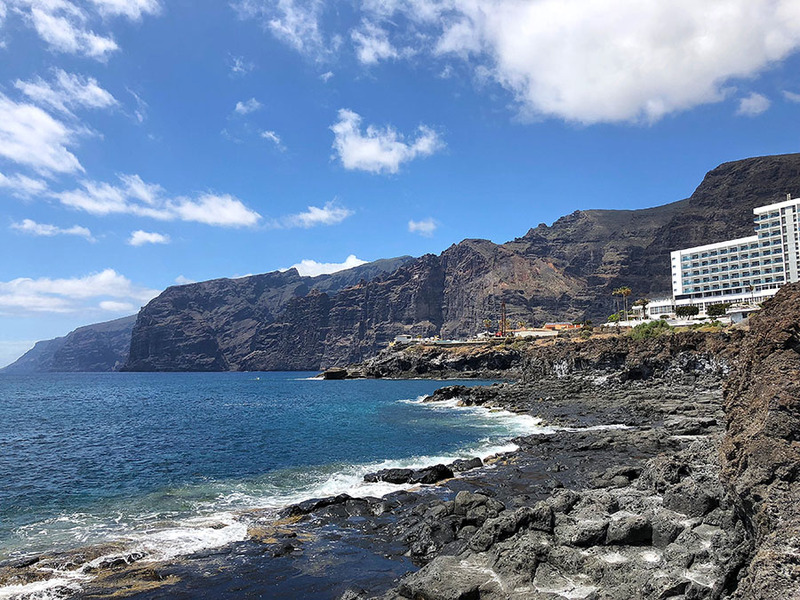 When I stayed in Los Cristianos in the past, we always instead walked to the Playa de las Vistas. 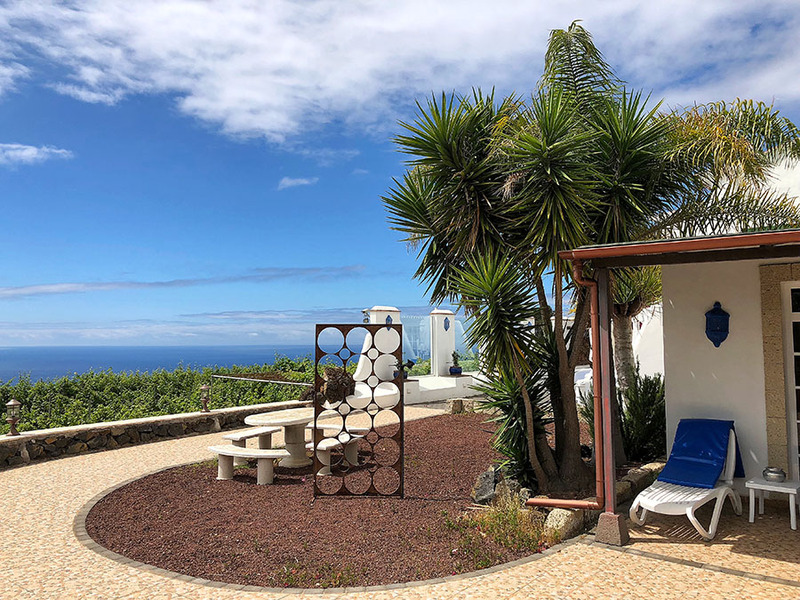 As you can see, where to stay in Tenerife really depends on why you are taking the holidays in the first place. 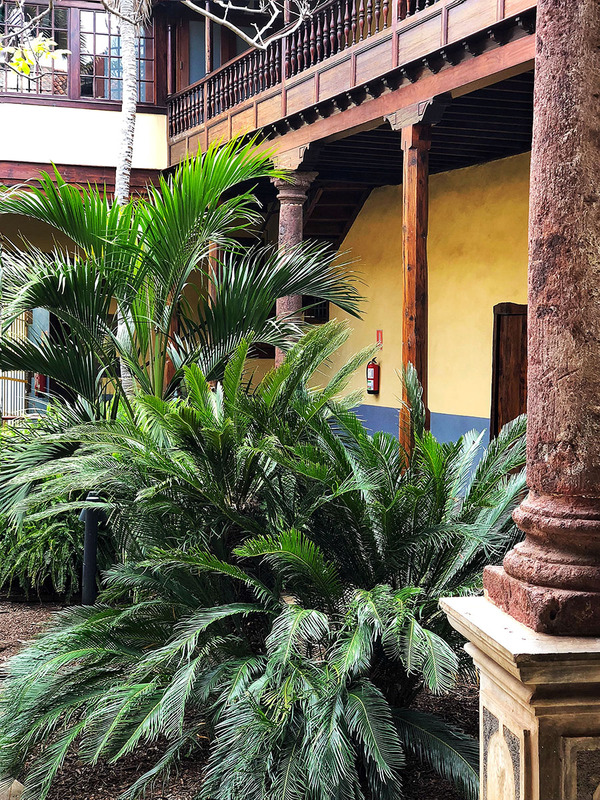 I believe that Tenerife is an excellent destination if you prefer to explore the island, rather than just stay on the beach. The beaches in Tenerife are not the nicest in Europe. 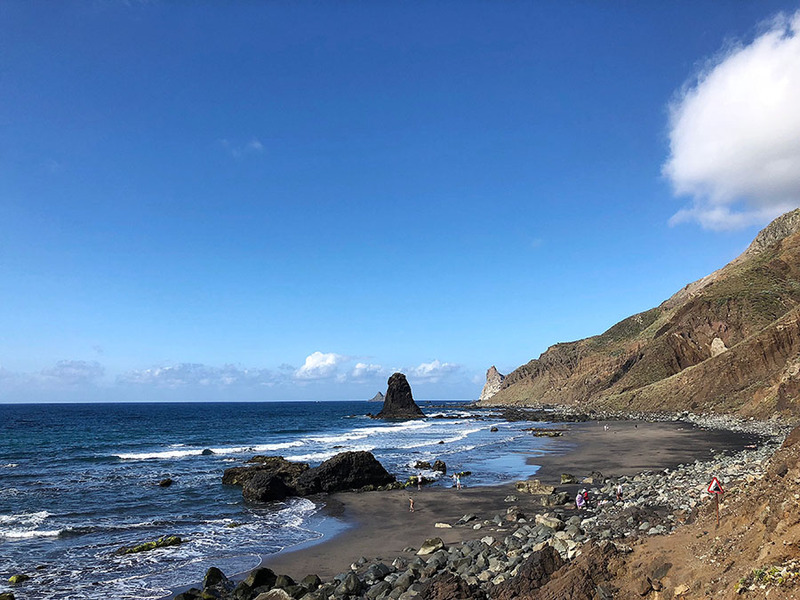 If you are only after summer beach holidays then going to Lanzarote or another island in Europe would be probably better and more accessible. 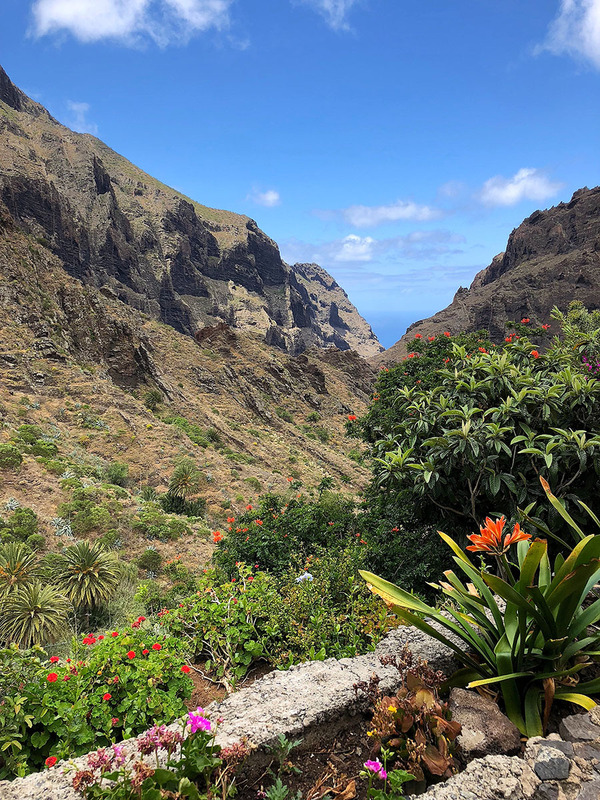 Where Tenerife excels is the amount of adventure you can experience and attractions you can visit and the fantastic and very unique fact that North of the island feels like an entirely different world to the South of the island. 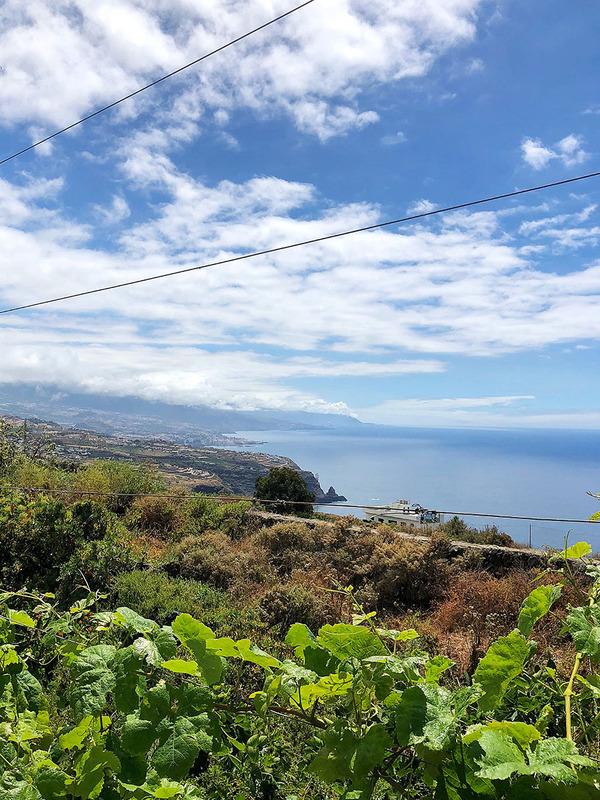 It almost doesn’t matter where you will stay as the infrastructure on the island is very well built and maintained which makes it very easy to drive around fast and safely. However, you will spend much less time in the car if you will split your itinerary between North and South as I did. During my stay, I spend half of my time in the green North and half of my time in the dry South. 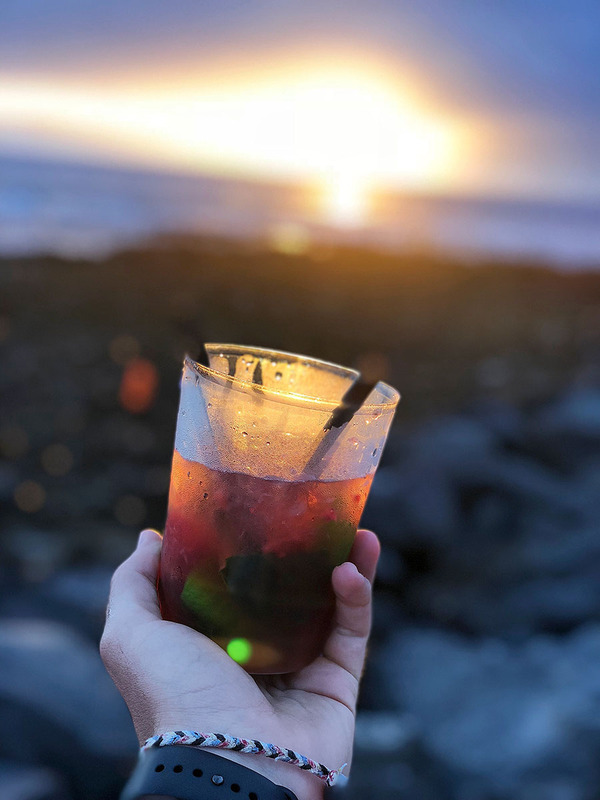 I believe that's the best way how to experience Tenerife.